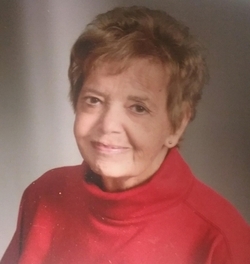 Harriet G. Schott, age 81, of Solon Springs, WI passed away Tuesday, January 8, 2019 in Miller Dwan Medical Center in Duluth, MN. Harriet Gertrude Schott was born September 14, 1937, in Gordon, WI, the daughter of Frank and Emma (Pleggenkuhle) Schott. She graduated from St. Croix High School in Solon Springs and went on to get a bachelor’s degree from St. Luke’s School of Nursing in Duluth. Harriet worked for many years at St. Luke’s and worked her way up to head nurse and was a supervisor for many years. She moved to Duluth while working but would spend much of her free time in Solon Springs. After her retirement in 1997, Harriet moved back to Solon Springs and worked at Lake Superior College doing Certified Nursing Assistant testing. Harriet enjoyed gardening, cross country skiing, traveling, entertaining, care giving, eating chocolate and was an avid reader. She also had a strong presence in Our Saviors Lutheran Church where she was a lifelong member and held a position as a council member and took part in many other church groups. Harriet lived a life of gratitude and at the end of every day she would write out seven things she was thankful for. Harriet was proceeded in death by her parents and stepfather, Nicholas Ramel. The funeral will be held at 1:00 p.m. on Sunday, January 20, 2019, at Our Saviors Lutheran Church with Pastor Jason Clifton. A visitation will be held from 11:30 a.m. to 1:00 p.m. on Sunday at the church. Interment will be in the Evergreen Cemetery in Solon Springs in the spring. In lieu of flowers memorials may be directed to Our Saviors Lutheran Church, 11405W 1st Street, Solon Springs, WI 54873.